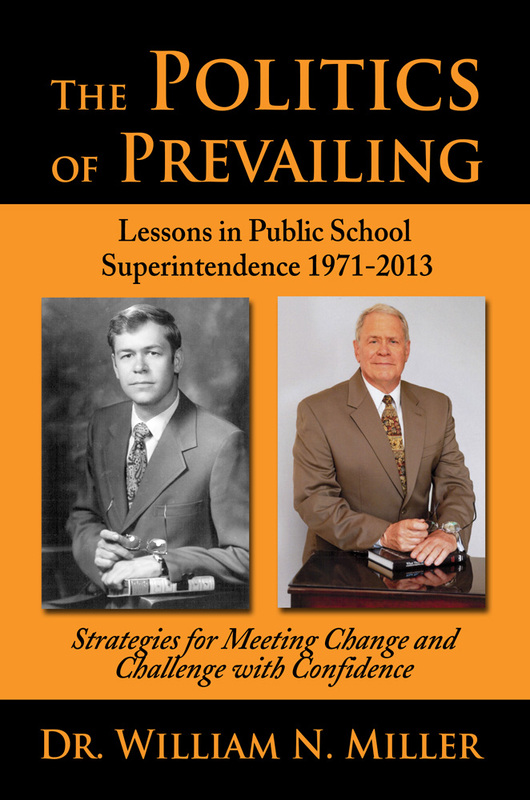 TYRONE, Pa. — Sunbury Press has released The Politics of Prevailing: Lessons in Public School Superintendence 1971-2013, Dr. William N. Miller’s memoir of his experiences as superintendent of the Tyrone Area School District. Dr. William N. Miller was selected Pennsylvania Association of School Administrators 2013 Superintendent of the Year. Previously, he received the Pennsylvania School Study Council’s 2012 William Caldwell Excellence in Administration and Supervision Award, was honored as the 2007 PARSS Rural Educator of the Year, and was lauded in 2006 with the University Council of Education Excellence (UCEE) Educational Leadership Award. He earned his B.S. from Shippensburg University and Masters and Doctorate of Educational Administration in 1969 at The Pennsylvania State University after completing doctoral course work at Harvard, The University of Chicago, and New York University. He has served as Adjunct-Professor at the graduate level at Penn State’s University Park campus and as Guest Lecturer at Saint Francis University. In addition, he has presented numerous statewide seminars on issues as diverse as educator sexual misconduct to the needs of gifted students.